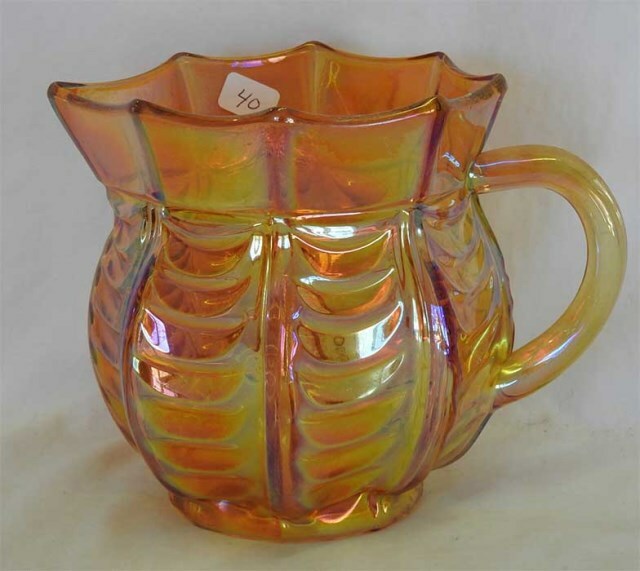 This is a different pattern than Northwood's Drapery, though quite alike in design. 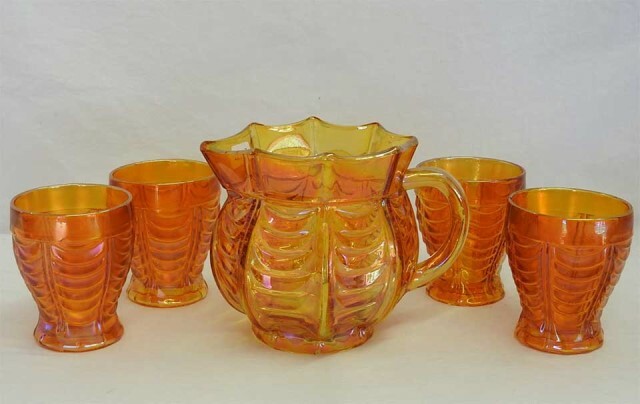 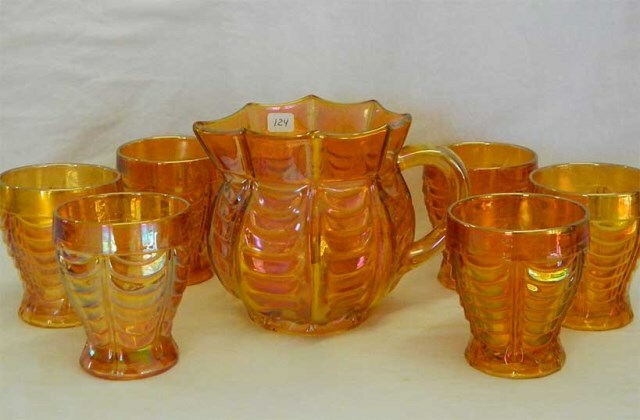 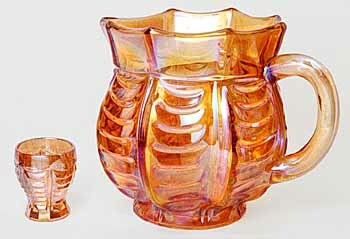 Shown above are a shot glass, water pitcher, and tumbler. 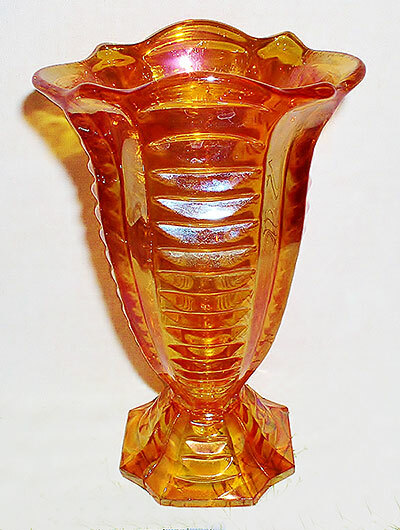 Richard Fenton sent me this photo of a recently acquired Drapery Variant vase in 2015. 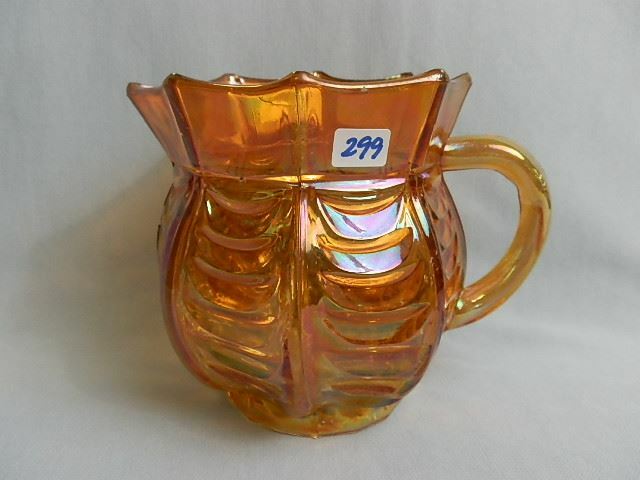 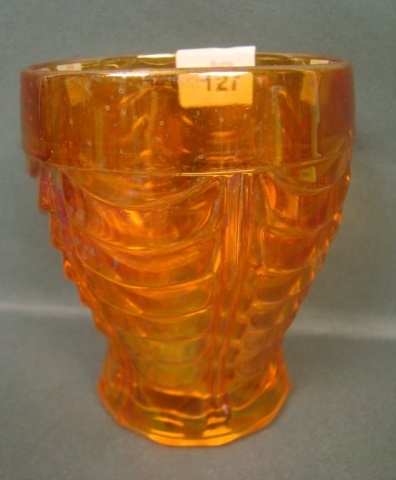 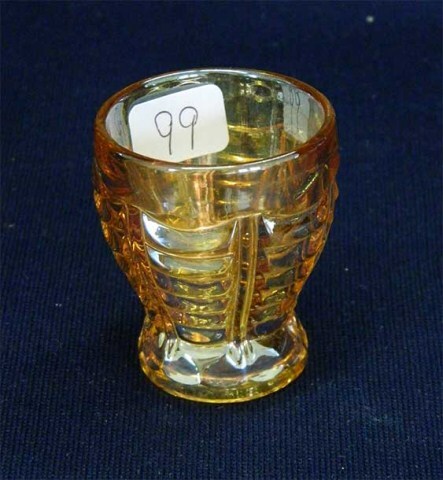 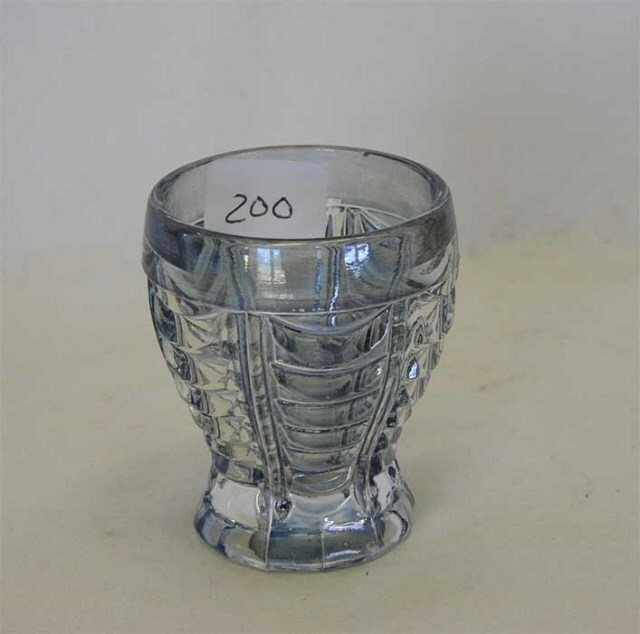 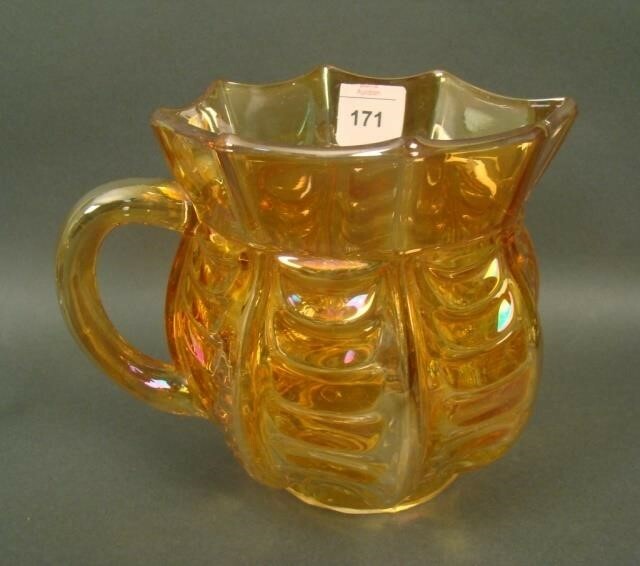 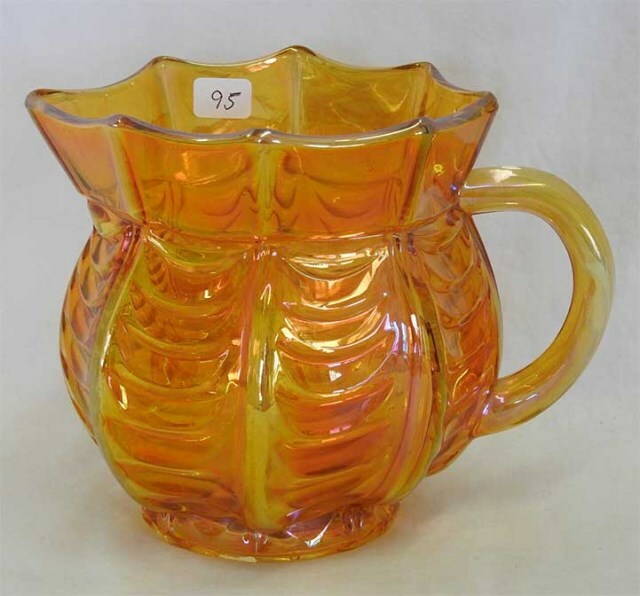 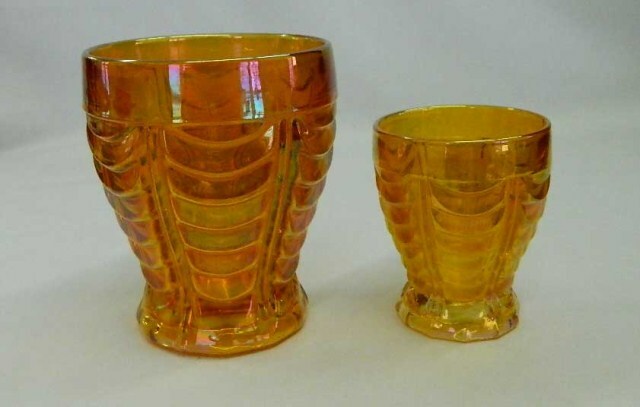 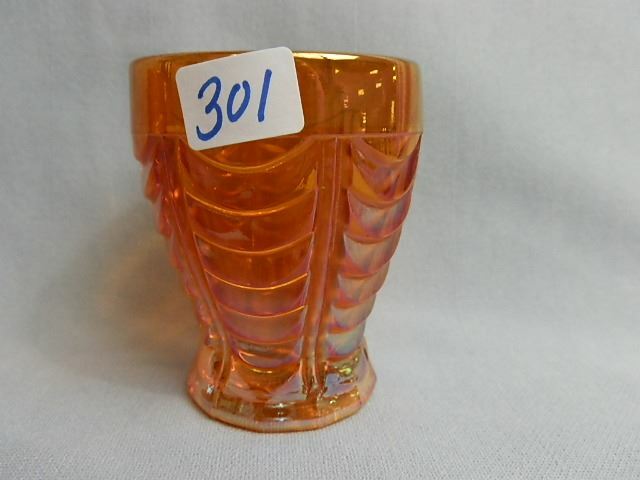 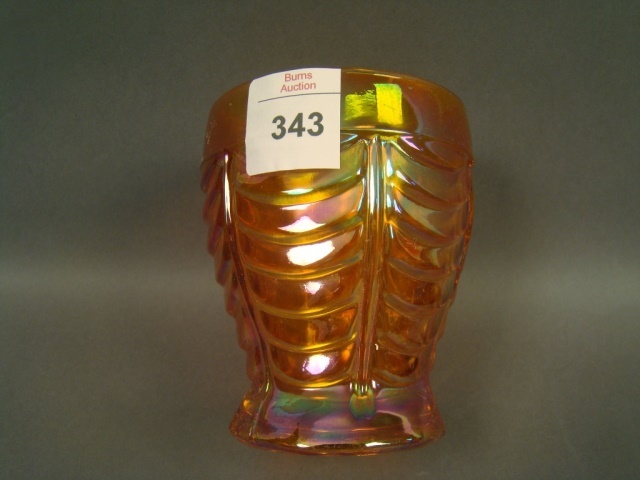 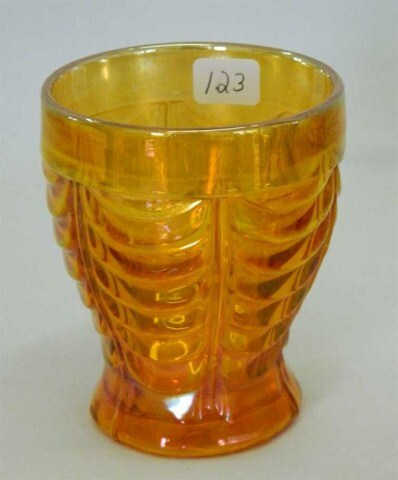 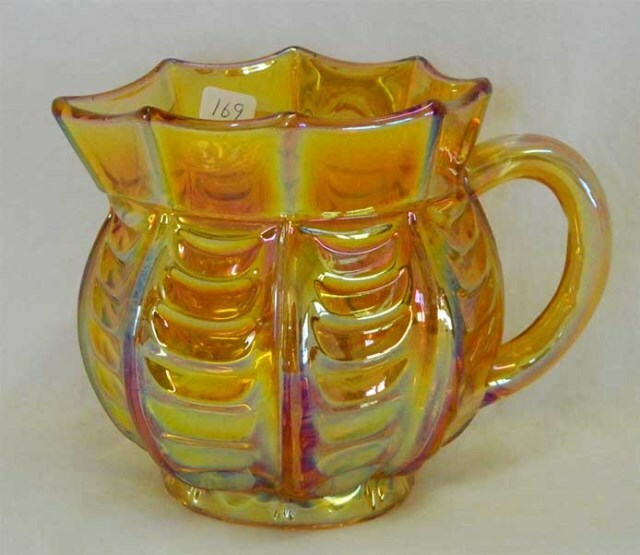 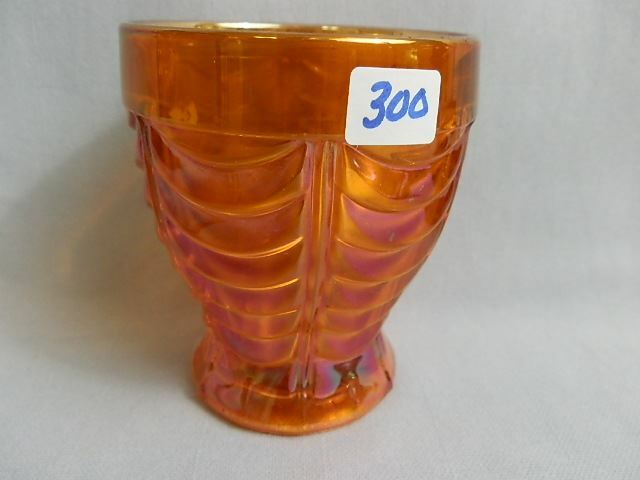 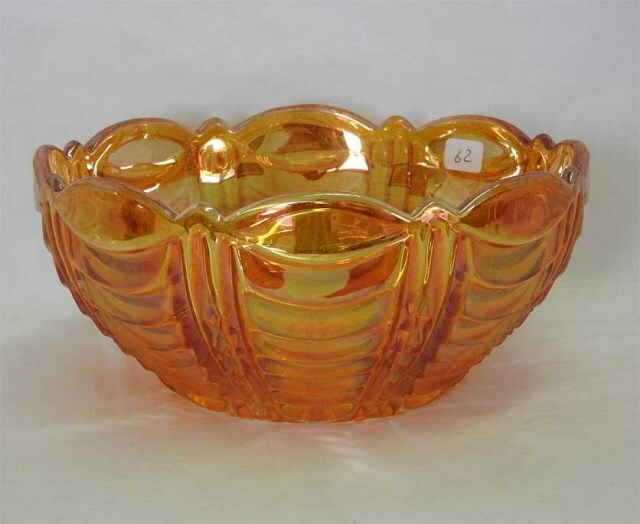 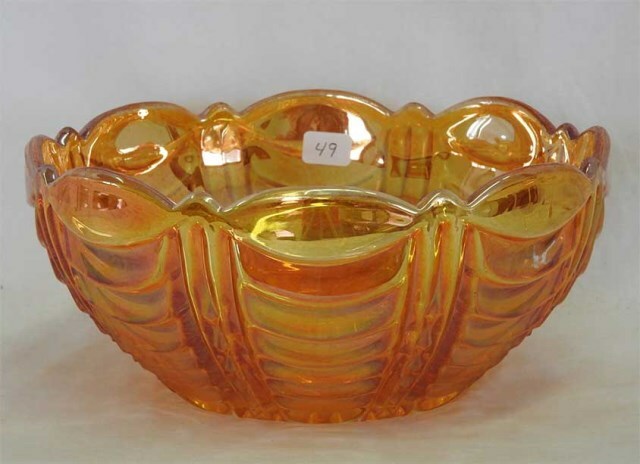 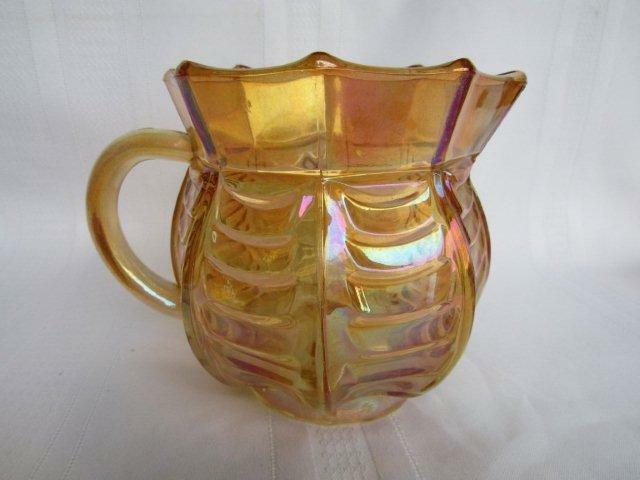 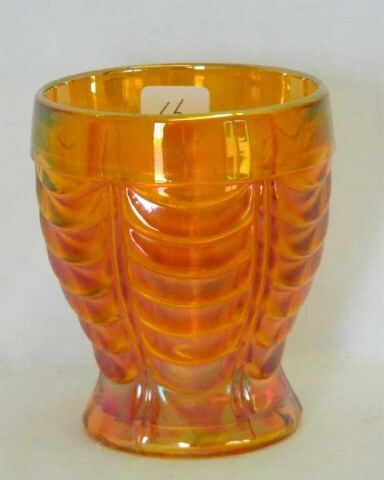 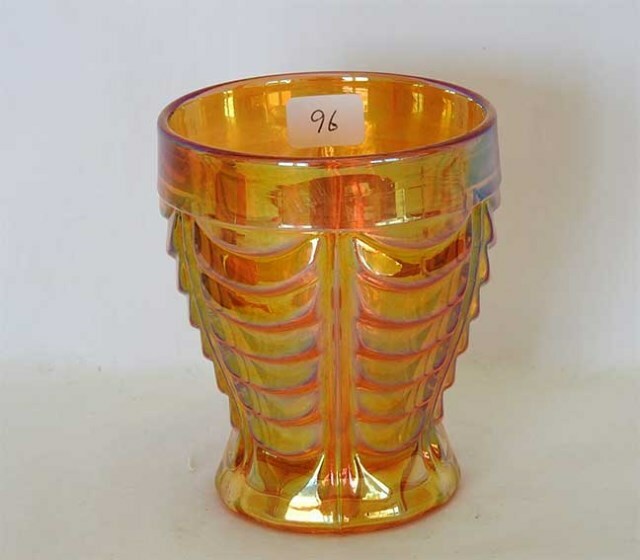 He described it as a fan vase, 8 inches tall and with spectacular iridescence.